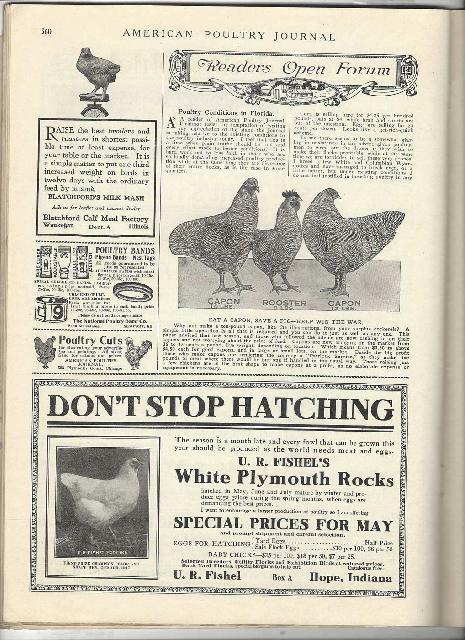 American Poultry Journal May 1918. Vol. 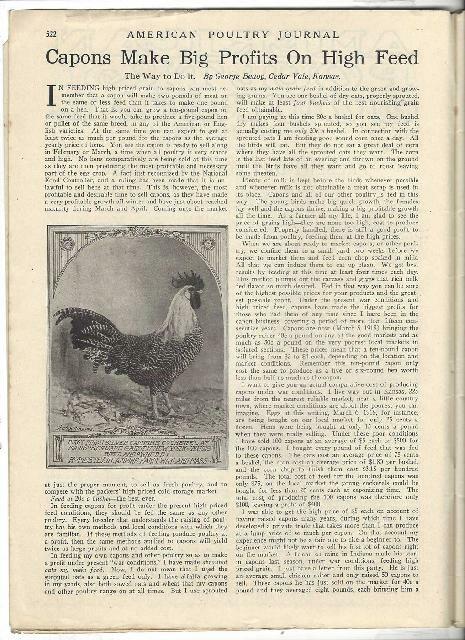 49, Nº 5. 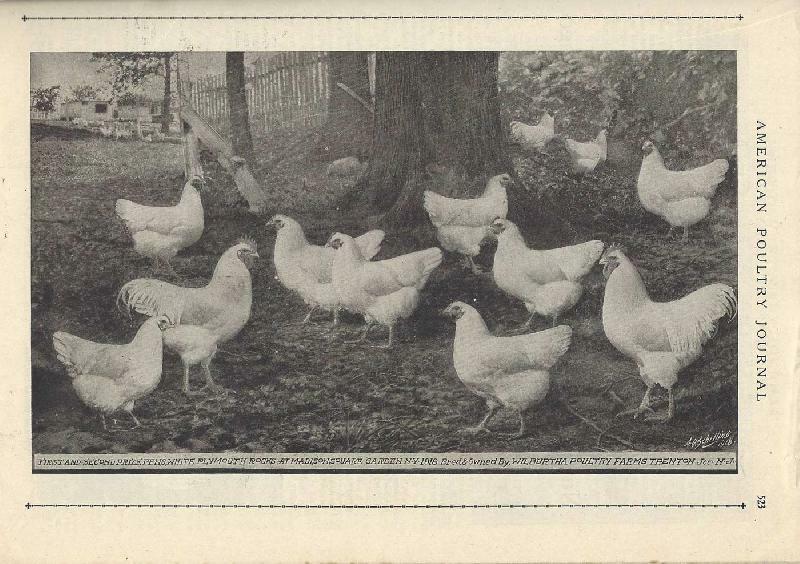 80-page Edition. 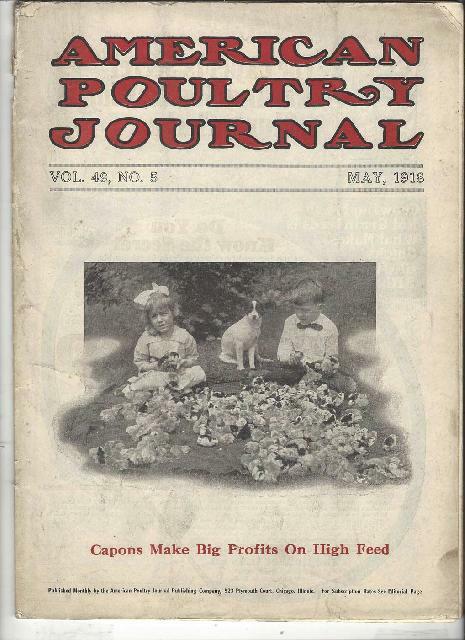 Published by American Poultry Journal Publishing Co., Chicago, Ill. Each issue contains articles, photos and advertisements on the poultry industry, farming and country living and classified ads. 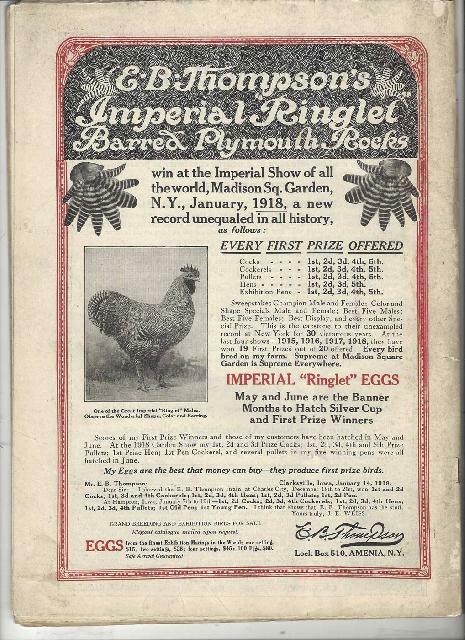 Shown are the front back and a few interior pages. Light wear. Condition (Excellent) Size: approx. 11-1/4" x 8"